The International Criminal Court (ICC) was established to prosecute individuals alleged to have committed war crimes, crimes against humanity and genocide. From the ICC’s inception, the US objected to the possibility that US nationals could be subject to its jurisdiction. The administration of former US president George W Bush waged an aggressive campaign to persuade states to sign “Article 98”, or bilateral immunity agreements. Those that signed agreed not to transfer US nationals to the ICC. Between 2002 and 2009, sanctions were implemented on states that refused to sign. 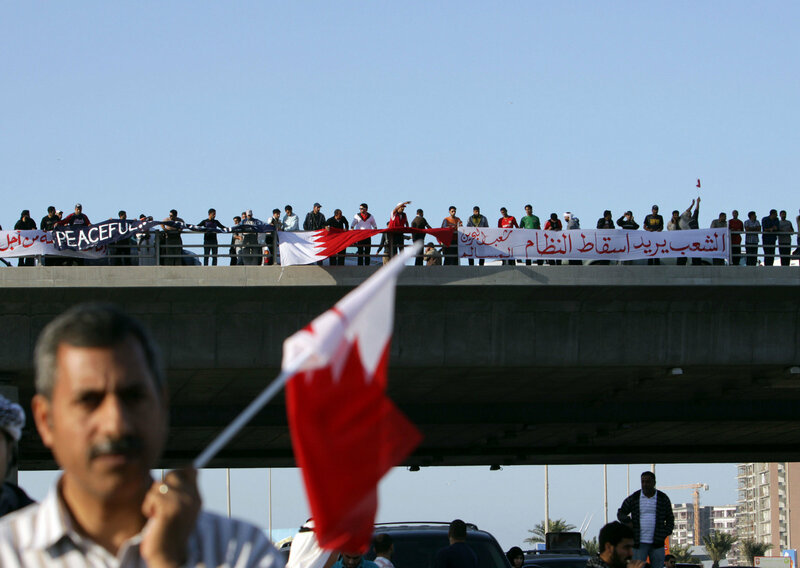 Protests against the Al-Khalifa regime have escalated in Bahrain ahead of the two-year anniversary of the uprising's start in mid-February and planned national talks between the opposing camps. The protests were spurred on by court rulings against jailed activists and more deaths caused by security forces. On January 13, 88-year-old Habib Ibrahim Abdullah died after inhaling tear gas fired by security forces at a protest in Malkiya, sparking protests in the capital. Security forces attacked demonstrators at his funeral the same day. It is now two years since spontaneous mass uprisings against political and economic injustice started to sweep through the Arab countries. This began a period of heightened class struggle known in the West (but not the Arab countries) as the Arab Spring. The Bahrain government's attempts to use the April 22 Formula One race to portray the country as harmonious have backfired badly. The world's media were forced to focus on the ongoing protests against the ruling al-Khalifa dynasty over demands for democracy and justice for those who have suffered human rights abuses. The government marketed the race with the slogan "UniF1ed", in a brazen attempt to whitewash the protests and suggest the country had returned to normal. The expression “business as usual” summarises the view of the revolution in Bahrain held by the Bahraini authorities, Western governments, international media like Al Jazeera, and the Gulf states. The Formula One Grand Prix has been confirmed by the International Automobile Federation. It declared the decision to reinstate it “reflects the spirit of reconciliation in Bahrain”. On March 14 last year, four days before the NATO intervention in Libya, there was a less publicised Western-supported military intervention. A Saudi-led force invaded Bahrain to put down democracy protests against that country’s absolute monarchy. Despite the repression, fresh protests have broken out. Press TV said on March 27 that thousands of Bahrainis rallied calling for the overthrow of King Hamad bin Isa and his Al Khalifa dynasty.